How Is Jenny Sanford a Style Story?!? » I Mean…What?!? How Is Jenny Sanford a Style Story?!? Jenny Sanford, a lovely woman, not a style icon. It has been a while since I have commented on The New York Times Style Section. Seemed like someone was listening and there were actual fashion related stories running in the bi-weekly Style Section…ya’d think. 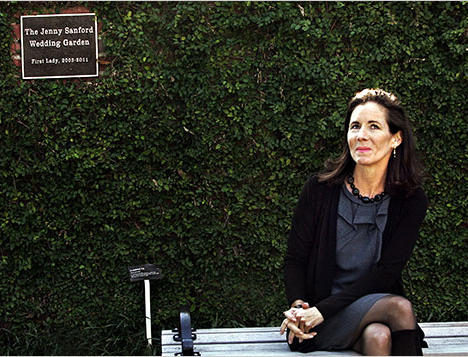 But today, the lead story in the Sunday Style is all about Jenny Sanford. Now, she is a lovely woman and I thoroughly sympathize with this woman. No one should be publicly scrutinized for being cheated on by their spouse. It is a shame that the public is so consumed with human foibles. Alas, we are. But of all the humans to be focused on…especially in The New York Times Style Section. It is not as though Jenny Sanford is a style icon. This is not the Ivana and Donald Trump divorce or the Blaine and Robert Trump affair. Not on your life. This is a middle-American, though as mentioned, a lovely woman, albeit, a bit of a stiff and best served in Reader’s Digest. Heck, give her the cover story. Better yet, have her be the guest editor of the newly created Divorce Candy, a website dedicated to the newly divorced.